Once again my homegirl Katie (@girlaboutchi) has bestowed upon me a few awesome products this past go round she gave me a couple of items from the “fresh” brand skin care line. Since embarking on this Master Makeup Artistry (MMA) journey I have wanted to educate myself and test out products so when I speak to my clients I am well-informed. Katie also knows that anything she does not want I will take, she too is in the beauty industry her specialty is skin care. 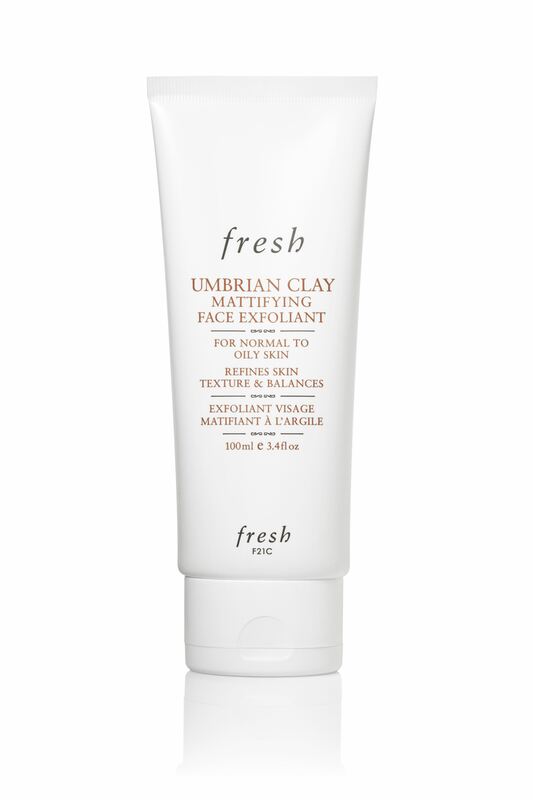 So, on to my two favorite items from the “fresh” skin care line – The Umbrian Clay Mattifying Face Exfoliant, is perfect for those with normal to oily skin. I was having trouble with dark spots and apparently my body decided to go through puberty again because, from time to time I get zits and sometimes those zits leave brown marks once they have long gone. So scrubbing is my friend, combined with the Peony Spot Correcting Brightening Essence my face has dramatically cleared up, my skin tone has evened out better than what I expected. Every morning I literally did a double take, I actually thought I was seeing things. You can grab the Umbrian Clay Scrub for$32 and the Brightening Essence for $65, now I know for some this may seem pricey, however when you weigh the benefits against the cost there is really no competition. Not to mention you don’t have to use the scrub everyday and as for the as for the Essence you can use it everyday or 2-4 times a week and all you need is a pump or two, a little goes a long way. Both the scrub and the Brightening Essence lasts me a minimum of 12 weeks (4 months), I would recommend both these products to anyone that wants to even out their skin tone and renew their skin, and believe it or not brown skin girls this product WILL work for you too, it worked for me and I get the darkest of spots! So during winter my face, like so many others becomes pale and just drabby and blah looking, combined with the dark spots my face looked hideous and well I just hated the way I looked point-blank end of story. 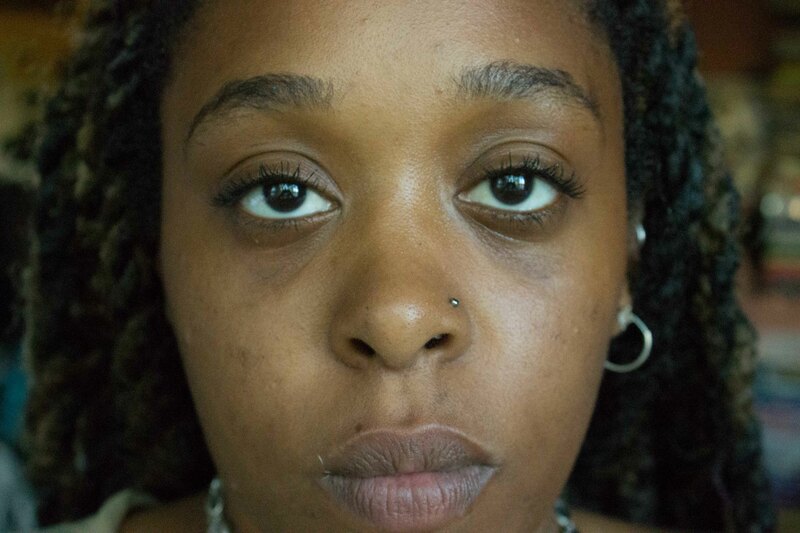 This is one of my before photos for a makeup look I was doing after about 2-2 1/2 weeks of using the products. So far my skin has stayed clear … I will definitely be buying more.